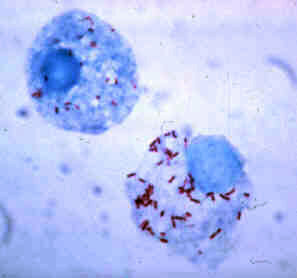 Anaplasmataceae is a Proteobacteria family  that includes genera Anaplasma, Ehrlichia, Neorickettsia and Wolbachia. Jane Austen was an English novelist known primarily for her six major novels, which interpret, critique and comment upon the British landed gentry at the end of the 18th century. Austen's plots often explore the dependence of women on marriage in the pursuit of favourable social standing and economic security. Her works critique the novels of sensibility of the second half of the 18th century and are part of the transition to 19th-century literary realism. Her use of biting irony, along with her realism, humour, and social commentary, have long earned her acclaim among critics, scholars, and popular audiences alike. Lizards are a widespread group of squamate reptiles, with over 6,000 species, ranging across all continents except Antarctica, as well as most oceanic island chains. The group is paraphyletic as it excludes the snakes and Amphisbaenia; some lizards are more closely related to these two excluded groups than they are to other lizards. Lizards range in size from chameleons and geckos a few centimeters long to the 3 meter long Komodo dragon. Lee County is a county located in the east central portion of the U.S. state of Alabama. As of the 2010 census the population was 140,247. 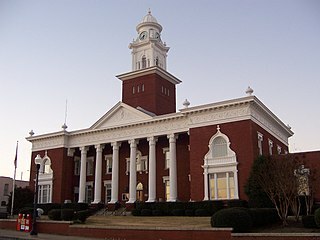 The county seat is Opelika, and the largest city is Auburn. The county is named for General Robert E. Lee (1807–1870), who served as General in Chief of the Armies of the Confederate States in 1865. Lee County comprises the Auburn-Opelika, AL Metropolitan Statistical Area, which is included in the Columbus-Auburn-Opelika, GA-AL Combined Statistical Area. The Ehrlichiaceae are a family of bacteria, included in the order Rickettsiales. The taxonomic position of this family is under discussion. The genera of the family are mostly classified in the family Anaplasmataceae. SHA-2 is a set of cryptographic hash functions designed by the United States National Security Agency (NSA). They are built using the Merkle–Damgård structure, from a one-way compression function itself built using the Davies–Meyer structure from a (classified) specialized block cipher. In the context of human society, a family is a group of people related either by consanguinity, affinity, or co-residence or some combination of these. Members of the immediate family may include spouses, parents, brothers, sisters, sons, and daughters. Members of the extended family may include grandparents, aunts, uncles, cousins, nephews, nieces, and siblings-in-law. Sometimes these are also considered members of the immediate family, depending on an individual's specific relationship with them. ↑ Garrity, George (2005). Bergey's Manual of Systematic Bacteriology. Springer. ISBN 0-387-24145-0. ↑ Ferla MP, Thrash JC, Giovannoni SJ, Patrick WM (2013). "New rRNA gene-based phylogenies of the Alphaproteobacteria provide perspective on major groups, mitochondrial ancestry and phylogenetic instability". PloS One. 8 (12): e83383. doi:10.1371/journal.pone.0083383. PMC 3859672   . PMID 24349502.